Connection Authentications are done in plain text, susceptible to main-in-the-middle attack. Authentications are over secured channels. Duplicated Emails Duplicate mails when mail client loses information on last email downloaded. No duplicate emails, mailbox contents are synchronized with server mailbox. Accessibility Messages sent from PC will not be accessible on mobile device. Synchronize your mailbox across multiple connected devices. Mailbox Size Mailbox sizes are usually small, shared, and with higher costs for bigger disk space. 50 GB of storage per mailbox ensures minimal issue on mail quota. Synchronization Each device operates separately. Flexibility to access your mails & calendar from PC, Mac, web, iPhones, or other mobile devices with similar & familiar view & interface. Domains Each additional domain will have additional costs. Support for multiple domains for a single fee. Calendar Sync Individual calendar on each device. Access your calendar on the go. All edits & entries are synchronized & similar. Sharing Capabilities No option for shared mailbox and calendar. Easily share mailboxes and calendars with your colleagues. Backups If “leave a copy on the server” is not set, mails are downloaded on client device and deleted from server. In event of disk failure with no backups, all mails will be lost. Mails, contacts & calendar entries are retained on both client & server. Failed client systems can resync & recover all mail items prior to failure. Retention Policy No control on mail messages once they are downloaded. 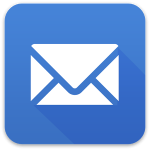 Mail retention policy enables retention of deleted emails, to allow recovery or adhere to corporate policy or regulatory reasons. Advanced Features Not available or limited advanced features on other hosted services. Advanced messaging features like unified messaging system instant messaging, SSO (single sign on support), hybrid deployment.